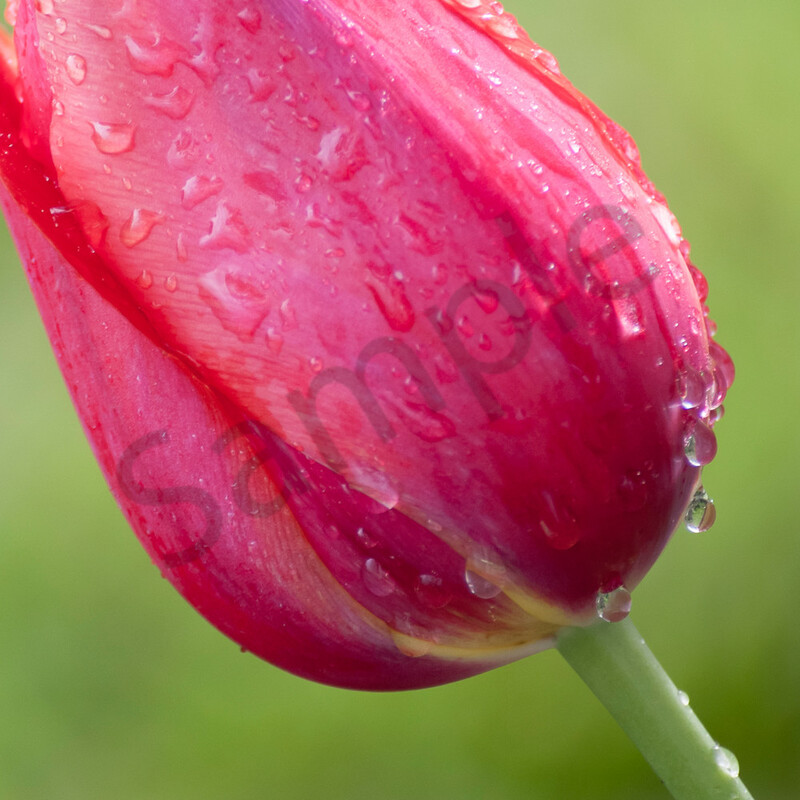 A fine art print of "Tulip in the Rain" will add a splash of color to your breakfast nook, reading room or office. Water droplets roll down the colorful back of a tulip after a spring rain shower. Add a dose of freshness to your home or office! Tulips are a welcome addition in any garden. Emerging early in the spring, they announce to the world that winter's worst is over. Rainy spring mornings reward hardy explorers with a different tulip experience. The flowers remain closed to protect the reproductive organs inside, appearing as a colorful, swollen football. Water droplets accumulate on the edges and reflect the colorful garden around them. "Tulip in the Rain" is part of my Flower Wall Art series. Best displayed as a metal print, the rich colors and bold details come to life. Each metal print is ready to hang without a frame, providing a bold, modern look. For a softer, more pastel appearance, choose a canvas print professionally stretched over a wooden frame. Two museum-quality fine art papers are also available, should you prefer a more traditional look. Water droplets roll down the back of a tulip after a spring rain shower. The garden in Colonial Williamsburg offes a quiet escape from the main street. Photograph was taken in Williamsburg, VA.